Where do I even begin? 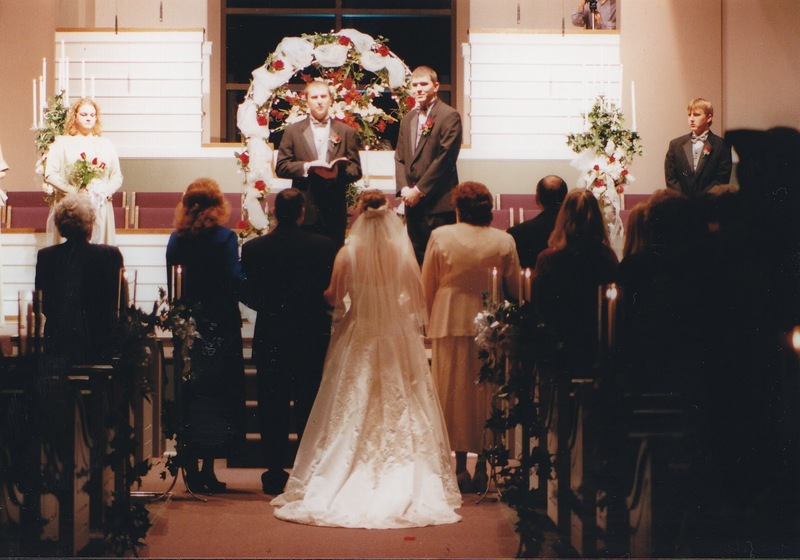 It's been a decade since I married the man God brought to me. 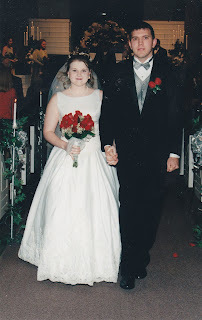 Ten gloriously wonderful years. Ten years filled with ups, downs, laughter, tears, the good and the bad. But ten years filled with unwavering love. I was a 19 year old kid who thought I knew everything. Little did I know, I knew very little. But one thing has proven true, I knew I loved Mark and that's all I really needed to know. That love has withstood the test of time and not only that, but it's grown into something much deeper than I ever could've imagined. Ten years has brought a lot of change with it. We're no longer living in a 1 bedroom apartment, pulling our hair out for lack of space, lack of room to get away to cool off after a heated argument (what? You don't have those? :) We're no longer living off ramen noodles, Lipton's noodle packets, and Kool-aid, although we do still occasionally enjoy some of those. We're now in our home - the home we've had for 9 of the past 10 years. The home I came home to after graduating with my first degree, and then with my second. The home in which we had our first family pet, Dexter. The home in which our lives forever changed when we welcomed home Anna Grace and Eli David. The two best additions by far. The home in which we found out about our precious #3. The home in which God saw fit to take our precious #3 home with Him. The home in which I'm privileged to stay at home in and raise our precious children. 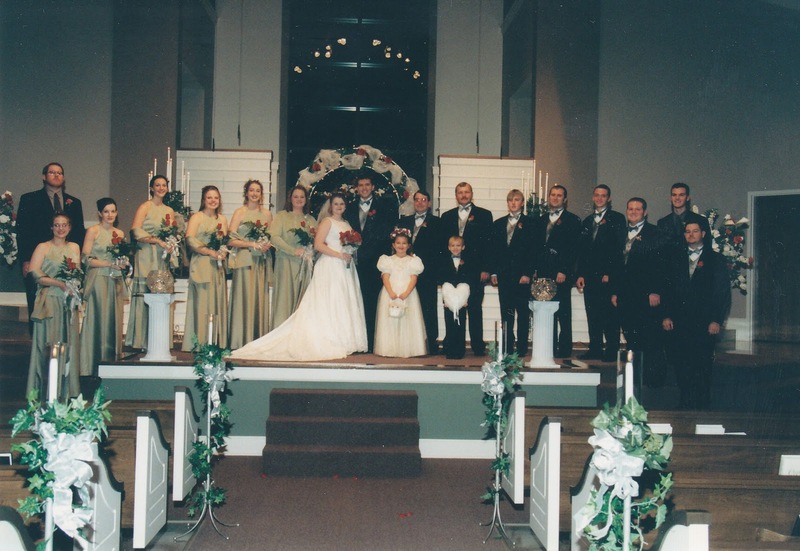 The past ten years have brought us our precious nieces, Topanga, Rebekah, Morgan, and our newly added nephew, Brian. The past ten years have taken Mark's great grandpa, his great grandma, Momma Gene, my grandma, a man I greatly respected, Ron Mitchell, and of course, our sweet #3 as well as numerous others. But most of all, the past ten years have brought with it a new love for Mark. Because it's through all of the trials that he's been by my side. Time has a way of changing love. It can either be to the detriment of the couple or for the better. And I'm so glad to say that ours has been for the better. I love Mark more now than I ever have. My love for him has evolved from a more physical love to an all encompassing, consuming love that isn't fickle or easily swayed. It withstands trials, disagreements, tragedy and grief because we've learned that all the work it takes to maintain a great marriage is more than worth it. We've learned that disagreements are just that - a disagreement and can be worked through. He's the one person that can simultaneously make me angry and yet make my heart flutter. That I can be furious with him and 5 minutes later we're joking about the ridiculousness of it. I absolutely love him. Everything about him has refined me in some way. Refined my cocky, rebellious Aerosmith, Def Leppard loving self into what I am today. God always refines but I believe at times He chooses to use people to help refine us and Mark has been that person for me. It hasn't always been easy, nor have I always readily agreed, but I can look back over the past ten years and see a world of difference. A difference I can be proud of and I have my husband to thank - for walking hand in hand with me. Here's to the next ten years (and 20, 30, 40....) - hoping they're walked just the same - hand in hand. Happy Anniversary, babe. I love you more than you'll ever know. 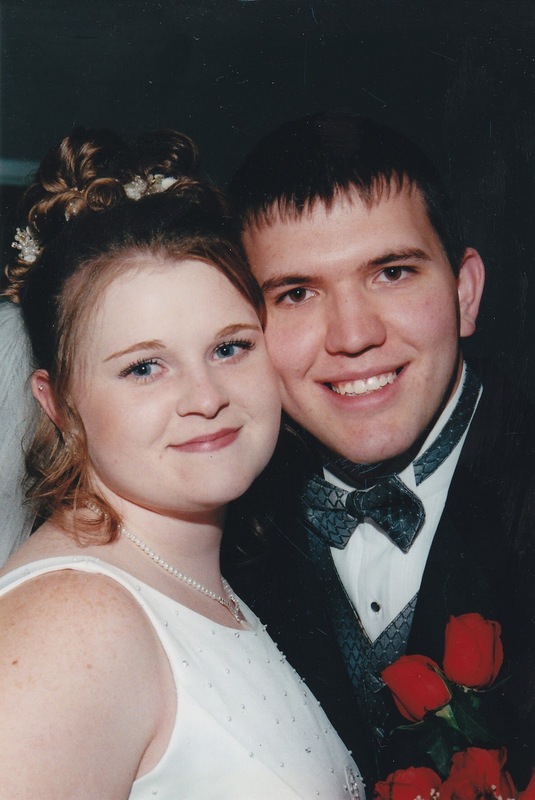 Congrats to 10 years of marital bliss. Wishing you many, many more years of happiness.